We provide dental exams in order to evaluate all aspects of your oral health. Our exams start by talking with you about your dental habits, eating habits and other relevant information. We will review your medical history as well as any medications you may be taking. Health conditions and/or medications can often affect the health of your teeth and gums. A thorough dental exam helps to reveal underlying conditions or environmental impacts that can affect your smile and oral health. What’s involved in an Exam? Tempromandibular Joint (TMJ) — We will check your jaw joint for any pain or abnormalities. Neck and Lymph nodes – We will examine the area beneath your jaw and around your neck for any swollen lymph nodes to help diagnose any abnormalities or signs of infection. Your Bite: We will evaluate the way your teeth come together for any excessive wear or abnormalities. Oral Cancer Screening — We also check all of the tissues inside your mouth for any abnormalities. Teeth and Gums – Of course, we will also look at all of your teeth and gums. 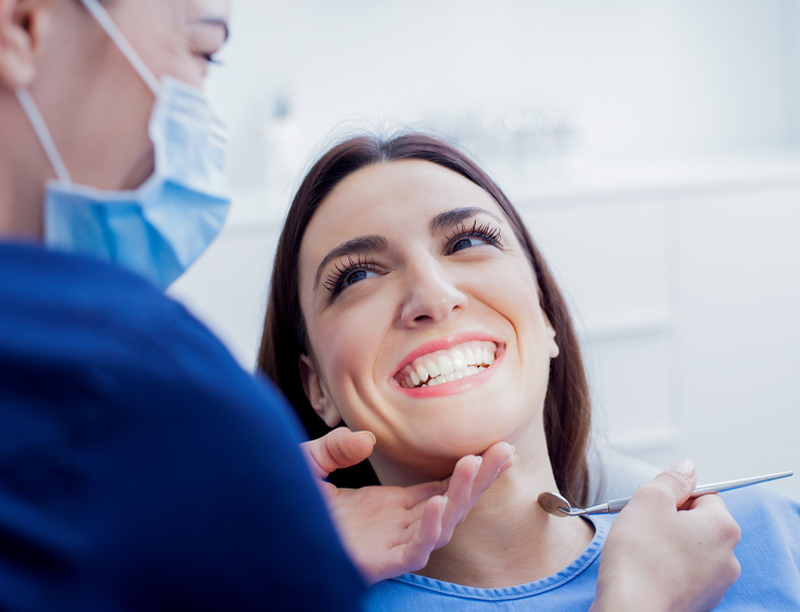 We will inspect your teeth for cavities, fractures, broken or failing fillings or crowns, and/or abscesses. In addition, we examine your gums for any signs of periodontal disease (gum disease). You will be informed of any findings from this exam and we will discuss treatment options as needed. Routine dental exams are recommended every six months. Dental x-rays may also be utilized during your exam to help identify issues the dentist cannot see during a visual exam.